Today's polishes are by Jody over at SoFlaJo! They are from her new Life's a Beach Collection. I really like both of these, so let's just jump right in! First up we have Moonlight Bay (matte). This polish, you guessed it, dries matte! I don't own any other indie mattes, so this is pretty neat in my opinion! It's a pretty dark grey with a textured appearance. Let's call it a "dimensional matte," in that it isn't just a single flat color. I have used two coats here. The cool thing about this matte is that it a bit slower to dry than other mattes I own, so you have more time to paint cleanly without feeling the need to hurry before it gets gunked up on your nails. Here is Moonlight Bay with topcoat. The shade appears to get a bit darker, the speckled texture is more visible... it's quite lovely! For this next step, I have taken Freaky and Fabulous, a gold holo glitter topcoat, and added one coat over Moonlight Bay. Freaky and Fabulous is super dense and applies very evenly. You don't need to be a glitter whisperer to get this one to behave! It is also VERY sparkly. It really is quite fabulous (see what I did there). Because I wanted to accurately represent the sparkle in this polish, I have posted a video of it in action at the end of the post. Don't miss it! Then, to bring everything full circle, I made the manicure matte again using Hard Candy Matte-ly in Love. Right back where it started! The glitter loses it's holo sparkle, but it's still rockin' the dense coverage. Besides, matte glitter has an appeal all its own! Now here's the video, so you can see just how sparkly Freaky and Fabulous really is! You can check out the rest of the collection on Jody's blog. They are for sale in 15mL and 5mL sizes on Jody's website or on Etsy. You can also keep up with SoFlaJo on Facebook! Nice... I really like that glitter! Moonlight Bay looks so pretty! I really love how it looks. Love to combo too! This is so beautiful. 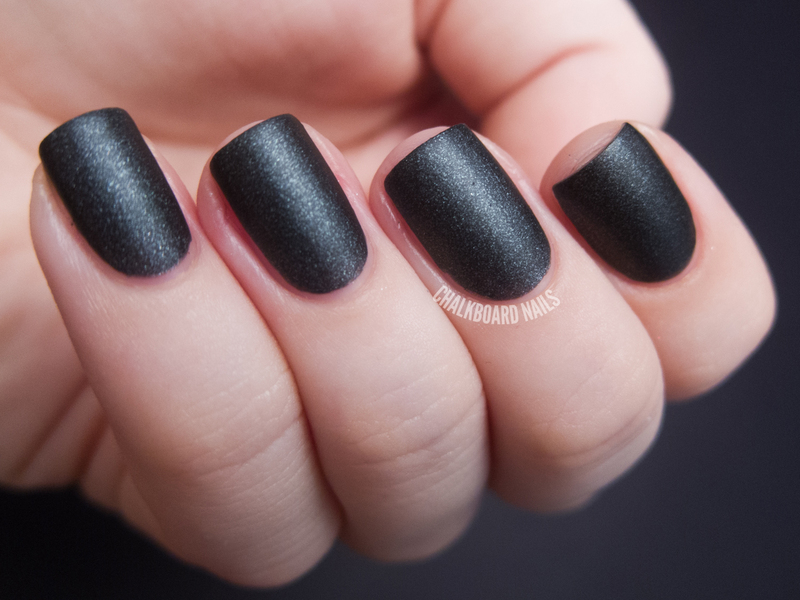 Love it in matte! Love the halo in the video. Very pretty I'm always a sucker for black matte polish. That glitter coat makes your nails look lit up like a christmas tree! Oh wow the combo of both is amazing! What a marvelous varnish! Love all three styles matte, shiny and glitter. I just bought a bottle! I couldn't pass it up! I love it. wow, i love the first one!! How do you get your cuticles looking so healthy and moisturized?!? You should do a post on how you maintain them that way! LOVE the matte final version! I should consider Moonlight Bay. I's really gorgeous!!! *. * I'm deeply in love with matte polishes, and I'm always ending up mattifying almost each polish I wear =.="